You pick it - chicken, beef, or gyros, and we'll stuff it into a large flour tortilla with onions, green peppers, and lots of mozzarella and cheddar cheeses. A big platter of crisp tortilla chips absolutely loaded with seasoned ground beef, tomatoes, and jalapenos. Covered with melted cheddar cheese. It's simply awesome. A​ bunch of meaty chicken wings sauced up hot and spicy or barbecue style. These are so good you'll want to kiss the cook! Jumbo shrimp wearin' a crispy crust of coconut. Served with sweet and sour sauce. Served with dipping sauce. Want'em buffalo style, just ask and we'll make'em hot and spicy or barbecue style. A great combination of coco-nutty shrimp, chicken tenders, stuffed mushrooms, and mozzarella sticks. Beer-battered mushrooms, hot pepper cheese, deep-fried cauliflower and fried pickle spears. Tasty dip of chickpeas, sesame oil, lemon juice, and garlic swirled into a smooth dip. Served with pita bread. Premium gyros meat stuffed inot a warm pita. Served with tomato wedges, cucumber, and creamy greek sauce. A delectable sampler of one spanakopita, tiropita, and two meat pies. Four yummy mini phyllo pies filled with spicy beef and sauteed onions. Four spinach and feta cheese pies - a traditional greek treat. Four pies stuffed with french and feta cheeses. Ask your server for the delicious details. Rich beef broth thick with onions, served with a toper of melted mozzarella cheese. What a terrific combination! Grilled chicken breast over fresh iceberg colored with tomato, bell peppers, cucumbers, onions, and mushrooms. Served with fat-free sesame dressing. An almost endless bowl of iceberg layered with deli ham, turkey, american and provolone cheeses. Garnished with tomato wedges, cucumbers, and bell peppers. A sunny salad of vine-ripe tomato wedges, cucumbers, onions and kalamata olives over chilled iceberg. 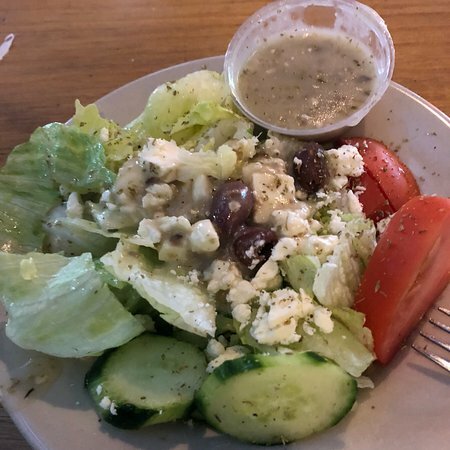 Finished with imported feta cheese and greek dressing. A generous bowlful of crisp romaine tossed with caesar dressing and parmesan cheese. 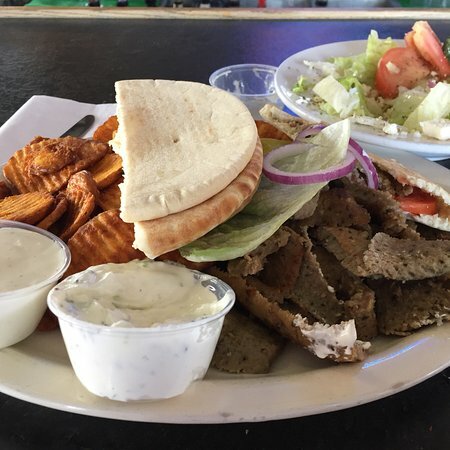 Choose a caesar, greek, or large house salad and we'll top it with grilled chicken, fried chicken, or gyros meat and add garlic bread for a good lunch. 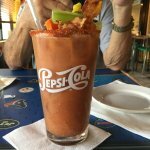 We start with a caesar, greek, or large house salad and pair it with a bowl of today's soup. Pasta dishes include garlic bread and your choice of today's soup or greek, caesar, or house salad. The ultimate in comfort food! A big bowl of hot spaghetti ladled with zesty italian-herb marinara, crowned with chunky meatballs. Tender strips of chicken breast kicked up a notch with cajun seasoning, served atop fettuccini tossed with a rich and creamy parmesan alfredo sauce. Simply one of the best dishes at kazablanka - a generous portion of hot fettuccini tossed with a velvety parmesan cream sauce. A delightful dish of grilled chicken breast snuggled in spaghetti, smothered with marinara sauce and melted mozzarella. 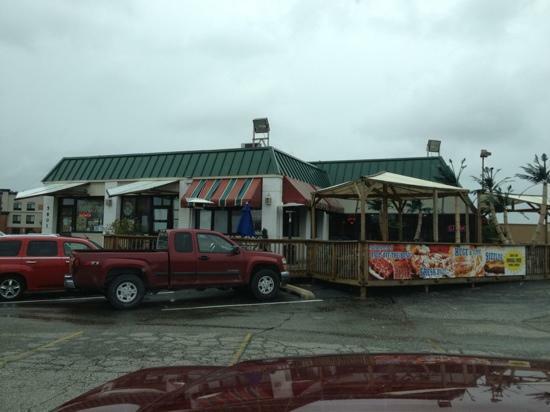 All entrees include your choice of two sides. We're talkin' fallin' off-the-bone tender. Slow roasted and lavished with our special kaza sweet and sassy barbecue sauce. Finished on the grill. Full or half-rack available. It takes all day to roast this prime rib to succulent perfection. Name your choice of rare, medium, or well done and we'll slice up a 12-oz. Cut and present it with warm au jus. Lean. Fork tender. Mouth-watering. The ultimate in beef taste. Treat yourself tonight. Indulge in a generous 12-oz. Cut of lean and juciy new york strip, charbroiled just the way you request. Hand breaded in seasoned flour and fried crisp and golden outside and smothered with rich creamy gravy. 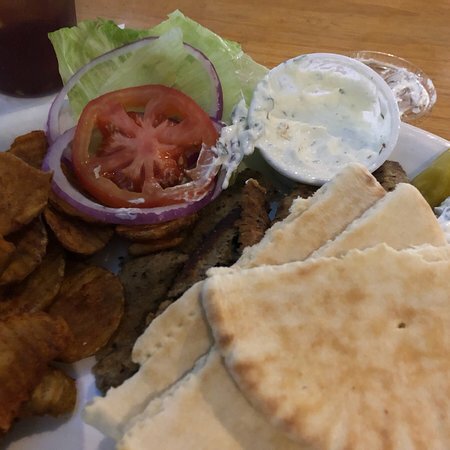 You'll enjoy this platter filled with authentic gyros meat, garnished with tomato wedges and cucumber. Served with pita bread and tzatziki sauce. Sink your appetite into this mild farm-raised catfish fillet. We can bread it up and deep-fry it or grill it fired up with cajun seasonings. Offered with tartar sauce. You can enjoy it battered and deep-fried or carefully baked. Served with tartar sauce. A fresh chicken breast, grilled, barbecued, cajun, or house seasoned. Marinated teriyaki chicken breast grilled and glazed with teriyaki sauce, garnished with pineapple. Chicken tenders lightly breaded and served with french fries or onion rings. An outstanding choice! We make america's favorite sandwich with a full half pound of premium black angus beef grilled to your liking and dressed up with lettuce, tomato, and onion. With cheese, lettuce, tomato, and onion. A hamburger patty covered with sweet sauteed onions and provolone cheese. A classic! It's the king of klubs! We deal this triple decker with ham, turkey, bacon, lettuce, ripe red tomato, american cheese and a touch of mayo. All on white toast. This hoosier favorite is breaded and deep-fried, or simply grilled. Garnished with lettuce, tomato, and onion. Hearty italian meatballs layered on french bread with marinara sauce and mozzarella cheese. A little bit of dixie - pulled pork lavished with our sweet and tangy barbecue sauce, loaded on a toasted bun. 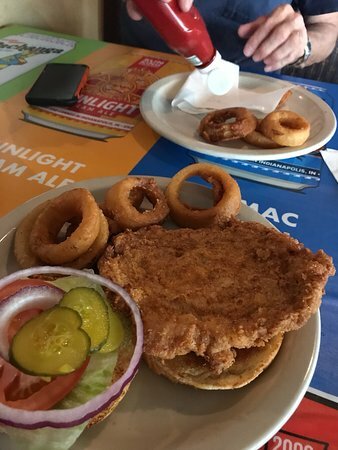 Catfish​ fillet breaded and fried southern style, sittin' on a toasted bun. Trimmed with lettuce, tomato and tartar sauce. Fresh chicken breast rolled around in our seasoned breading, flash-fried and served with lettuce, tomato and onion. Start with a 14-in. Cheese pizza and add three of your favorite toppers. A classic greek pastry of phyllo dough layered with walnuts and honey syrup, baked till golden. Lavished with your favorite topping - strawberry, blueberry, cherry, or chocolate. Ask your server for the yummy details about today's special dessert offering. POSTO eccezionale - SOPRATTUTTO VENERDÌ E SABATO NOTTI! Ho avuto il piatto giros, ed è stato eccellente. Musica dal vivo, e mi è piaciuta molto. Divertente mix di gente del posto e dei passanti - attraverso, ma che era bello come bene. La cena era buona dopo un lungo viaggio in auto. WAD; servizio efficiente e cordiale. Piccola ma con una buona selezione di birre alla spina. Qui per lavoro con un collega. Fuori era tranquillo, ma eravamo stanchi di volare tutto il giorno e siamo affamati quindi abbiamo deciso di provare. Il cibo è eccellente, con un sacco di esso. I prezzi molto ragionevoli. Ve lo consiglio. Questo bar è proprio accanto a tre alberghi, quindi se vi trovate in uno di loro si dovrebbe mangiare qui che altrove. Ho avuto la pizza ci ed era molto buona. Il resto del menu sembravano molto gustoso e il prezzo è ragionevole. Ricevi risposte dal personale della struttura Kazablanka e dai visitatori precedenti.